This is a special treat! In our line of work it isn’t necessarily a compliment to call someone a “gentleman,” though “scholar” seems ok. I’ve gotten away with it though from time to time… and this is one of those times again! Marc Whipple is a REAL IP lawyer and blogs at Legal Inspiration! (where — full disclosure — this post is being cross-posted), but is, to me on an almost daily basis, one my favorite Twitter interactors. And, well, yeah. He’s a gent. And, of course, a scholar. Because, of course, he’s published at LIKELIHOOD OF CONFUSION®! No, seriously. He’s a scholar. An aesthete. An Eagle Scout (I’m just assuming that). He’s a darned patent lawyer! Also can write. Follow him on Twitter at @legalinspire. But first read this. …when they really ought to know better. 140 character limit or not, that seems a bit over the top. But is it? Let’s review the decision. First, a very brief summary of patent law vs. copyright law. Patents protect useful inventions. Copyrights protect artistic creations. In a sense, patents “trump” copyrights, in that you cannot use a copyright to protect a useful invention. (For instance, you cannot copyright the shape of an improved airplane propeller and claim nobody else can make a similar propeller. That’s what patents are for.) Patents are harder to get than copyrights, have much shorter terms, and cost a lot more both to obtain and to enforce. On the other hand, you can usually make a lot more money in a patent infringement suit than in a copyright infringement suit, there are fewer defenses to patent infringement than copyright infringement, and defenses to patent infringement are harder to raise. Just to make things conf… I mean, interesting there are also what are known as design patents. These protect the “ornamental design of useful articles.” They are sort of a bizarre hybrid of patents and copyrights that have some of the worst (and best) features of both. They are outside the scope of the decision, but keep in mind that they exist when discussing this area of the law, if for no other reason than that “design” does not mean quite the same thing to a (design) patent lawyer that it does to a copyright lawyer, and I think that causes some of the confusion we are seeing. 1We do not today hold that the surface decorations are copyrightable. We express no opinion on whether these works are sufficiently original to qualify for copyright protection, see Feist Publications, Inc. v. Rural Telephone Service Co., 499 U. S. 340, 358–359 (1991), or on whether any other prerequisite of a valid copyright has been satisfied. Failure to read / understand / accept the text of that footnote is, in my opinion, behind most of the more sensational tweets / comments such as Professor Fromer’s supra. The assertion that you can now slap a copyrighted design on any old thing and claim the thing itself enjoys the protection of copyright meets its first and highest hurdle in the fact that the design must in and of itself be copyrightable. The opinion is not addressing the question of copyrightability of the underlying design. (I myself, though not familiar with the particulars of the registrations, find them somewhat dubious in that regard.) It is assuming arguendo that the design is copyrighted, and resolving an old and complex circuit split on the legal ramifications of attaching a copyrighted design to a useful article. And yes, there was a complex split. I have seen people claiming as many as six different tests existed for determining when useful article limitation overcame copyright protection. Many of them considered, to some degree, how functional the article was as an independent factor. And this is not a new idea. It is an old principle, recently re-affirmed in TrafFix Devices, Inc. v. Marketing Displays, Inc. that you cannot use trade dress to create “perpetual patents.” Similarly, in Kohler Co. v. Moen, Incorporated the same rule was applied to trademarks. All of the tests attempting to do the same with copyright were created by intelligent judges and it is not my intent to dismiss or belittle them. The Copyright Act of 1976 makes “pictorial, graphic, or sculptural features” of the “design of a useful article” eligible for copyright protection as artistic works if those features “can be identified separately from, and are capable of existing independently of, the utilitarian aspects of the article.” 17 U. S. C. §101. Can you identify the artistic work separately? Can it exist independently of the useful article? 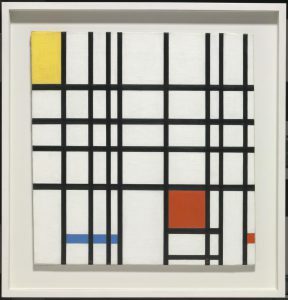 1937-42 Piet Mondrian. Courtesy of Tate. …is a prized exhibit of one of the world’s great art galleries, who are we to say that Varsity’s works are unworthy of a little protection? In any event, Justice Breyer’s proposed test, just like all the other tests, includes new entities which are neither necessary nor present in the statute. The test set forth in the opinion puts the burden exactly where the statute set it all along, and just as importantly, where the underlying principle of copyright protection would reasonably set it: on the independent existence and originality of the artistic work. 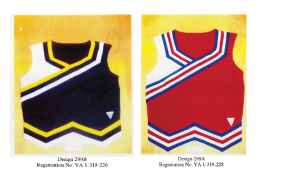 Once they are established the “canvas” upon which artistic work rests, be it an actual canvas, a t-shirt, or a cheerleading uniform, matters not. So what does all this mean to practitioners on the ground? Going forward, this test will put a lot more emphasis back on the fundamentals of copyrightability and the doctrines governing it. Copyrightability is a mixed question of fact and law, heavily fact-dependent. Principles of copyrightability determination such as scènes à faire, the merger doctrine, and even the basic requirement of minimal artistic creativity set forth in Feist are untouched by the decision. These principles will form the basis for defense of copyright infringement allegations involving useful articles, rather than employing elaborate and circuit-dependent tests regarding how the functionality affects the copyright protection afforded the copyright owner. Likewise, when the useful article itself is ornamental, preemption by the principles of design patent law will still come into play. If the ornamental design and the useful object are irretrievably combined, only design patent protection will be available. And that distinction will still be available as a defense to any claim of copyright infringement in the article as a whole. 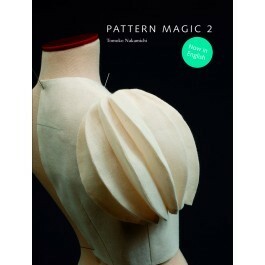 Magic 2 by Tomoko Nakamichi. Courtesy Lawrence Publishing. In the case of clothing such as that made by Ms. Nakamichi, the artistic work is usually not going to be any individual decoration, but rather the article of clothing as a whole. If you remove the “artistic” parts, there is almost nothing useful left. Part of that is the non-two-dimensional nature of the artistic work. You will note that the Varsity Brands opinion talks a lot about applying two and three-dimensional artworks to useful articles. But here the subcomponents are mechanically integrated into the article itself, and removing them would cause the article to be less useful. Distinctions like this will become more important with the alternative tests that existed before Varsity Brands no longer available. Relatedly, copyright law has an extensive body of doctrine as to how much of a copyrighted artwork must be copied to create an infringement and how much modification an alleged infringer must perform before the alleged infringing work is no longer a copy or an infringing derivative work. Those principles still apply, full force, to any allegation of copyright infringement related to a useful article under Varsity Brands. Along with standard copyrightability defenses and patent / design patent preemption, these provide accused infringers substantial protection from the tsunami of liability some commenters are predicting in the wake of Varsity Brands. I hope you found this post enlightening. Even more importantly, to the extent you may have been worried about a sudden surge in potential liability on behalf of creators I hope it has reassured you somewhat. If readers have any questions or comments, I would be delighted to hear them. Thanks for reading!